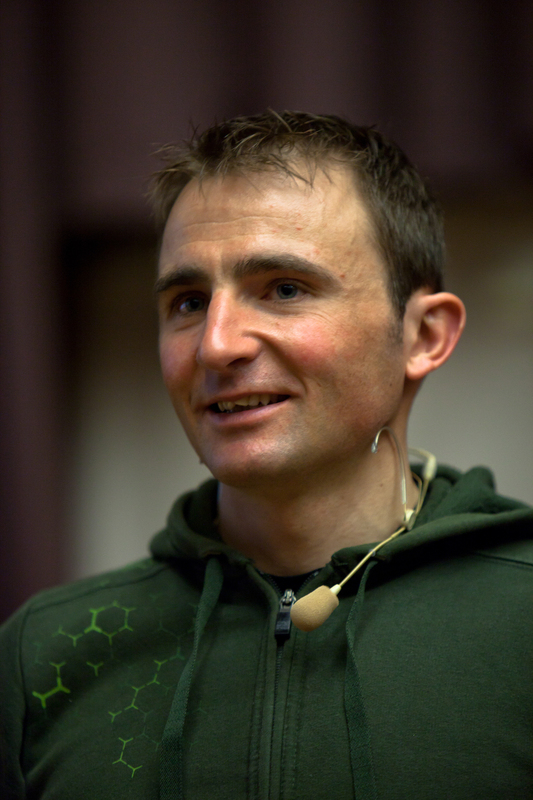 Ueli Steck, one of the most accomplished alpine climbers in history, was found dead April 30 at the base of the Nuptse Face near Mt. Everest's Camp II. Steck was known for high-altitude speed climbing without oxygen. The Himalayan Times reported that the 40-year-old Swiss climber was last seen at 4:30 a.m. going up Nuptse (7861m). The climb was to acclimatize for an attempt to climb Everest (8848m) by the seldom-attempted 1963 Hornbein-Unsoeld route on the West Ridge, descend the normal South Col route, traverse into Lohtse's normal route, climb to the summit of Lhotse (8516m) and then descend straight back down to Everest's Camp II to complete a loop of light and fast climbing. "I will not say it's an easy traverse," Steck said on a video, describing the enchainment into Lhotse. "Everything has already been climbed once, but the whole linkup has never been done." 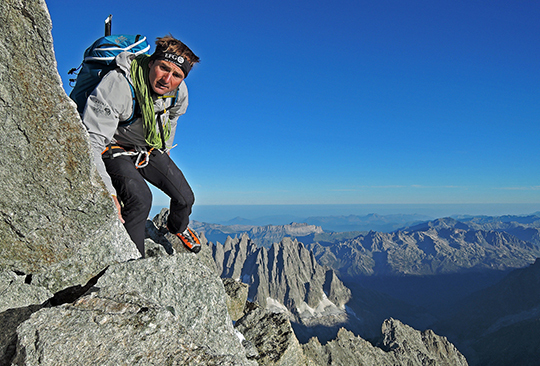 Steck's fame transcended climbing circles when he broke the Eiger North Face speed record three times, first at 3 hours, 54 minutes, in 2007, then at 2:47:33 in 2008, and then 2:22:50 in 2015. 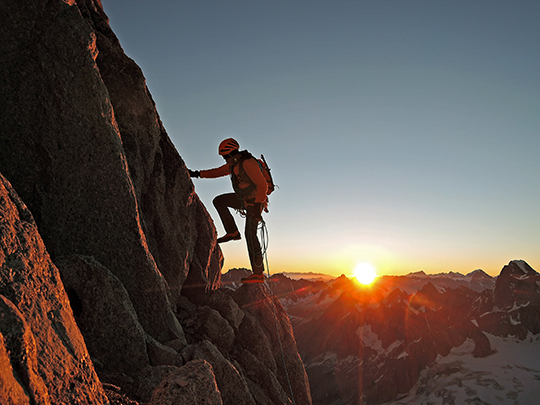 In a 2011 interview with Alpinist, Steck said his speed climbing career began with the north face of the Eiger. "I first climbed it in 1995 with my friend Markus [at age 18]," he said. "After several ascents, I soloed it for the first time in 2004 in 10 hours. This made me think about Thomas Bubendorfer's time of 4 hours and 50 minutes and Christoph Heinz's 4-hour, 30-minute record. This was almost incredible for me. Less than half the time it took me to climb it. This pushed me to improve my climbing." In 2008 he set a record on the Grandes Jorasses at 2:21, then set a record on the Matterhorn in 2009 when he climbed it in 1:56. "I am sure the speed ascents will be a very important experience for me in the future," he told Alpinist. "At the moment I am interested in the big mountains: 8000-meter peaks." Steck had a breakout year in 2009. He climbed Gasherbrum II (8035m) for his first 8000-meter peak and nearly onsighted Golden Gate (VI 5.13) on El Capitan in Yosemite. That year he also received his first Piolet d'Or for his 2008 first ascent of the north face of Nepal's Tengkampoche (6500m) with Simon Anthamatten by a route they dubbed Checkmate (AI 5 M7 5.11+ A0, 2000m). Steck reported a 10.5-hour solo ascent of the 2000-meter southwest face of Shishapangma (8027m) in 2011. Then, in 2013, he reported a solo speed of 28 hours round trip on a new route of Annapurna's 3200-meter South Face—for which he received a second Piolet d'Or in 2014—but those ascents have recently come under scrutiny. (Steck wrote a story called "Journey into Night" about his Annapurna ascent in Alpinist 45.) Rock and Ice quoted him saying that there are "also people who doubt the moon landing." Steck was attempting the Everest-Lhotse linkup with Simone Moro and Jonathan Griffith in 2013 when they got into a fight with Sherpa guides near Camp II. The altercation brought on international media attention. "We were not wrong or right, and the Sherpas were not wrong or right," he told Outsideonline.com. In 2015 Steck climbed all 82 4000-meter peaks in the Alps in 62 days in a single push using only human-powered transport, by foot, bike and paraglider. The record of 60 days was accomplished with vehicles for shuttles between peaks. "People forget something: in climbing, it doesn't matter what you're doing," he told Outsideonline.com in 2010. "If you do a speed ascent, you're the fastest up the Eiger's North Face, nothing's going to change in the world. But maybe your world is going to change. In the evening, when you're going to bed, you know exactly what you have done. And that's what it's all about....If it's your challenge, and you're happy with it, that's the most important thing." At the end of "Journey into Night" in Alpinist 45, Steck wrote: "The world will continue beyond these pages. Past the dark of the night and the light of the snow. With or without me. With a climb or without a climb. That's how it is; there's nothing else." In a tribute to Steck after the news of his death, journalist and climber Billi Bierling wrote: "What I liked about Ueli was his modesty and the fact that despite his amazing achievements he was down to earth—never arrogant. When you look at the CV on his website, it says: 'Profession: trained carpenter' even before he lists all his incredible mountaineering achievements."